The festive season rolls around every year like clockwork, and whilst somethings change others always stay the same. 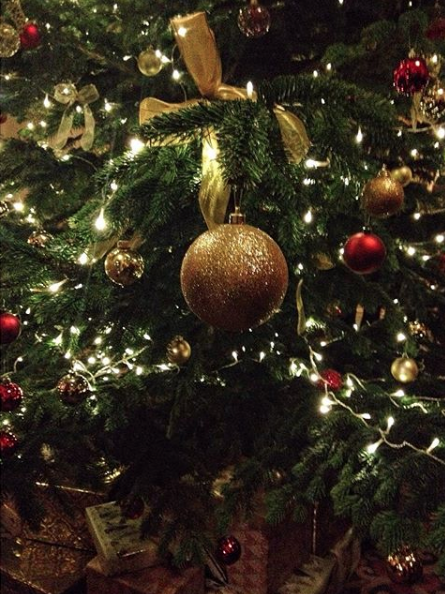 So we have shared with you are Christmas traditions and how we like to spend the Holidays! How do you typically spend Christmas what do you do to celebrate? Jasmine: We have quite a low key Christmas. Our immediate family get together and we have a huge Christmas dinner, drinks and end up curled up on the sofa watching a film. Olivia: Usually Christmas doesn't properly start until Christmas Eve which is when we put up and decorate our tree, a tradition started by my Grandma and we keep to this day. We come from a part Polish family so Christmas Eve is a big affair with lots of family coming over and a big fish supper. Then the big day is usually held at my Aunts house with family and family friends. We normally go to Church in the morning and then head over and help prepare lunch as a family and after some kind of board game or film. Describe your ideal Christmas morning? J: We are a family of early risers, so once one of us it up we all follow. We make coffee and exchange our presents in our dressing gowns, then have a cooked breakfast followed by getting the party started with prosecco. O: In our family, we usually get up pretty early as well, my sister and I make stockings for each other so we would open those first thing, then sit down to breakfast and after we'd make our way to Mass. O: Last year we took a trip to County Kerry in Ireland for our family's first Christmas abroad and it was a very special trip as we have family friends out there. Still had some elements of a Christmas at home but with some extra touches that made it very special and memorable. What are three things you can't go without at Christmas time? J: Family, Twiglets and cheese. O: Friends and family, a cheeky mince pie and a board game or two. What is your festive guilty pleasure? How does your family celebrate, do you have any Christmas traditions that you do year in year out? J: We always decorate the tree with my great nan's baubles. And on Christmas day We take our dog for a walk and get together to play a board game. O: Putting up the tree Christmas eve is a big tradition that we do every year as a family. We also celebrate the 12 days of Christmas in our house where we will open a present each day for the 12 days (that's if there is enough to stretch!) so the tree will stay up until the 6th January. And the classic boxing day walk is a solid tradition in our house.